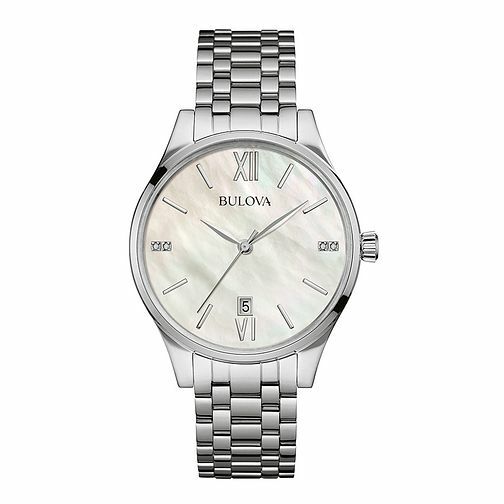 An effortlessly elegant stainless steel bracelet watch from the beautifully crafted Bulova timepiece collection. Featuring a shimmering mother of pearl dial, date window at 6 o'clock, and sparkling diamonds at 3 o'clock and 9 o'clock. A sophisticated accessory, designed to complement her wardrobe perfectly, whatever the occasion.